Veteran football Administrator and bank roller of Division one side King Faisal Babies , Alhaji Karim Gurash has called on the management and technical team of the Black Stars to call experienced duo Sulley Ali Muntari and Barcelona’s Kelvin Prince Boateng for Egypt 2019. Boateng and Muntari went sacked from camp for indiscipline at the 2014 FIFA World Cup in Brazil and have been asked to publicly apologised to the whole country before they can be called to comeback into the national team. With calls from some Ghanaians that the Black Stars Coack Kwesi Appiah should call the Barcelona Player( KELVIN PRINCE BOATENG) ,the coach have insisted he will only call him back if he take steps to apologise for his conducts in Brazil. But Alhaji Karim Grusah is of the opinion that the pair have what it takes to help the country end her 37 years drought for an African trophy. “Let’s invite Sulley Muntari and Kelvin Prince Boateng to help the team. They are all Ghanaians. I support them very well to be called into the national team for the AFCON and their experience will be needed at the tournament,” he said in an interview. “Sulley has done a lot for the country in terms of football. 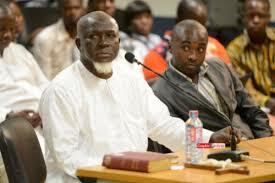 KP Boateng and Sulley still have something in them to help Ghana retain our African respect,” Alhaji Grusah added. 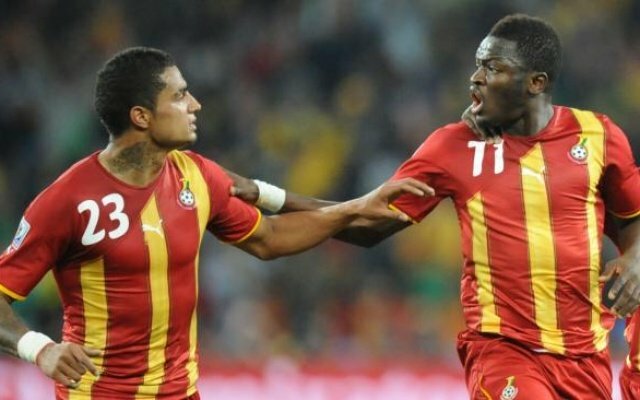 The two midfielders have made 99 appearances for the Black Stars producing 22 goals with Muntari’s famous one coming against Uruguay in the quarter finals stage in the 2010 FIFA WORLD CUP in South Africa.